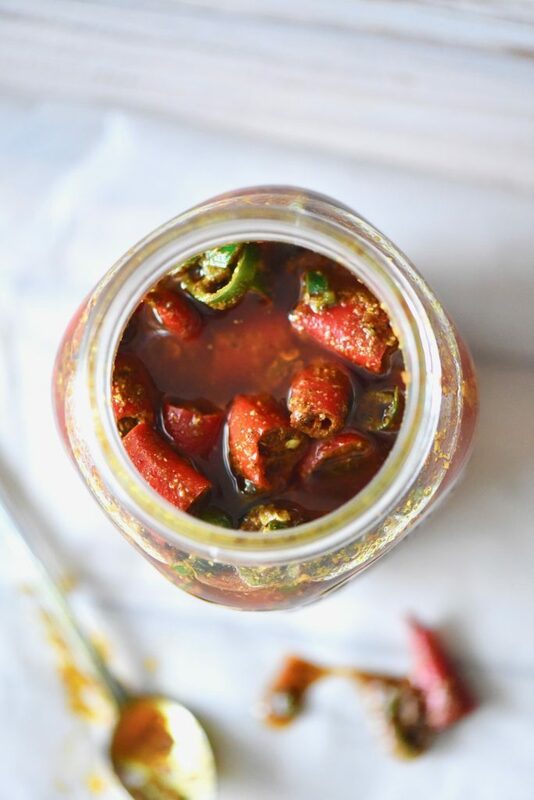 “Chilli Pickle” or Achaar as we call it in North India, is a condiment served with Parathas, Biryanis or sometimes even as a side dish if you don’t have any vegetable dish on the menu. India has variety of pickles, every region has their own speciality, preparation and flavours. 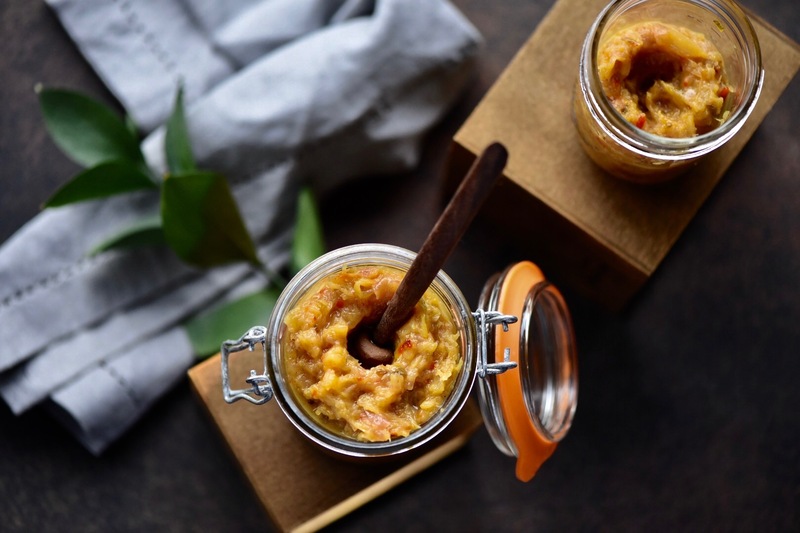 In my family my mum used to make mix vegetable pickle, mango pickle (my absolute favourite), chilli and lemon and many more varieties. My memories of making pickle with my mum are quite vivid! It used to be a big project for the summer holidays because we would make all sorts of pickles in dry hot summer heat. 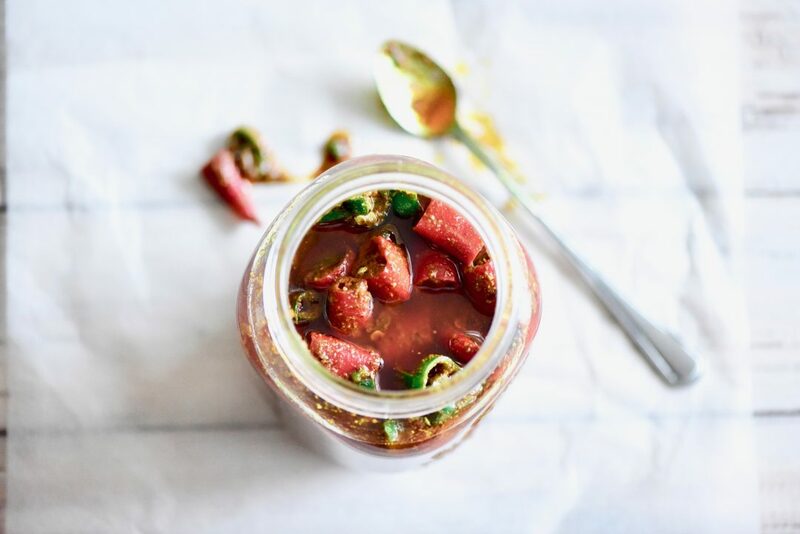 Reason being, you need dry heat to ferment the vegetable or fruit and after mixing it in the pickling spices you need to keep them under hot Sun to sort of get that flavour more intense. If it was raining my mum would postpone the pickle making plan and I never quite understood that until I started making my own pickles. The first time I made a pickle it was in Tokyo in the month of April which was still quite cold and not that sunny. My pickle didn’t taste how it should taste like and it didn’t last outside the fridge. 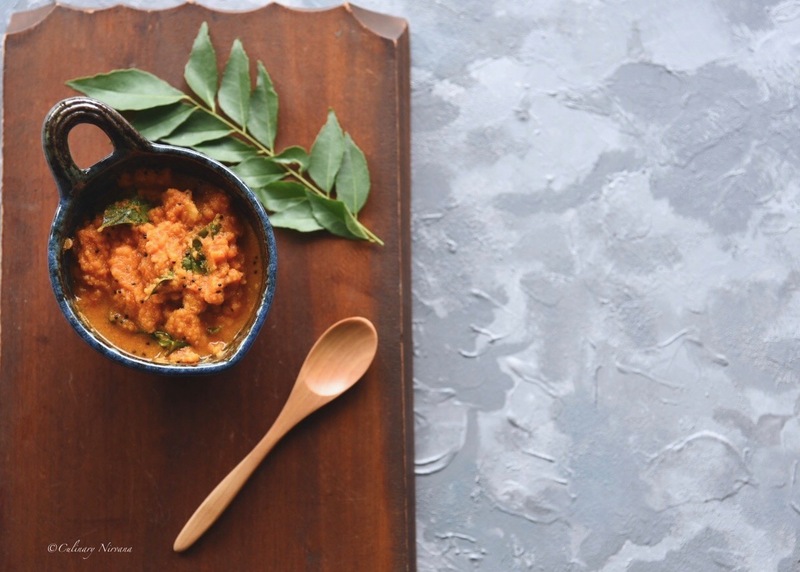 The chilli pickle recipe I am sharing doesn’t need that dry heat and storing in the Sun because I developed this recipe while I was living in Tokyo where the summer was in August when I used to travel a lot. 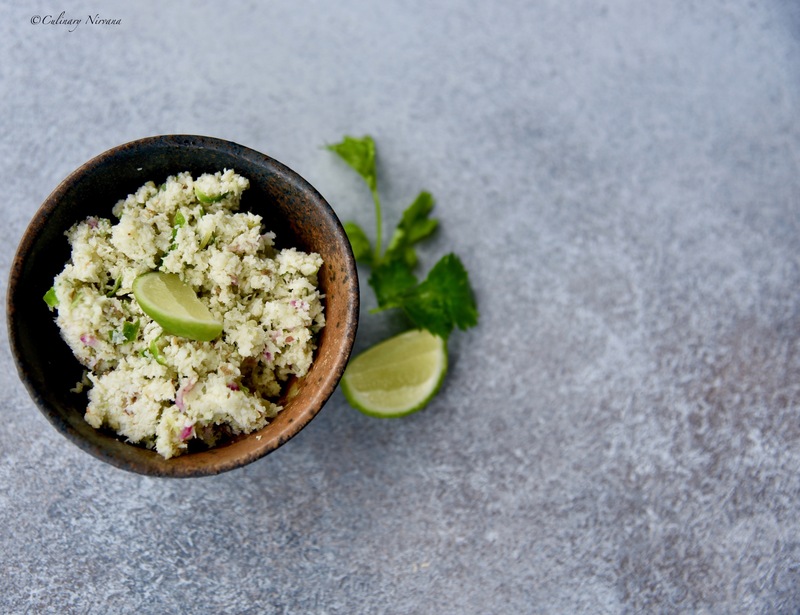 So this is a fairly quick and a simple recipe to make. Also because I don’t like to add any preservatives like vinegar or citric acid in my pickles I like store it in the fridge. It stays good for almost 6 months in the fridge. 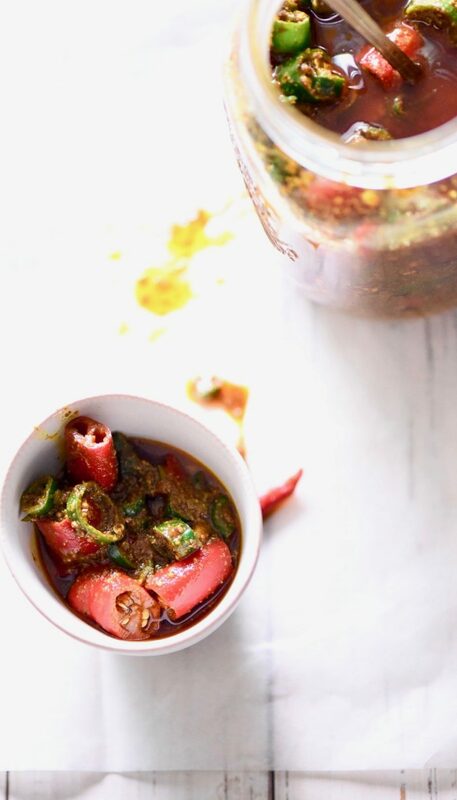 I use this Chilli Pickle as a condiment, as a side and even in my cooking (stay tuned for the new recipe). 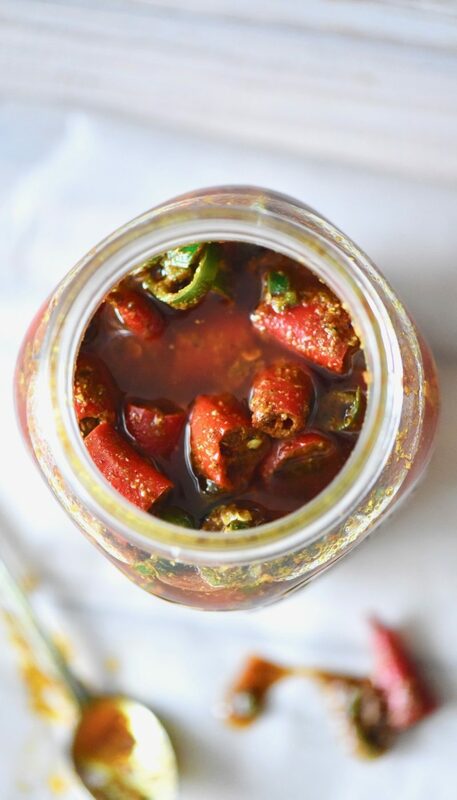 So do give this “Chilli Pickle” a try! Mix the chopped chillies together, add 1 tsp salt and keep it aside in the Sun for 1 hour. 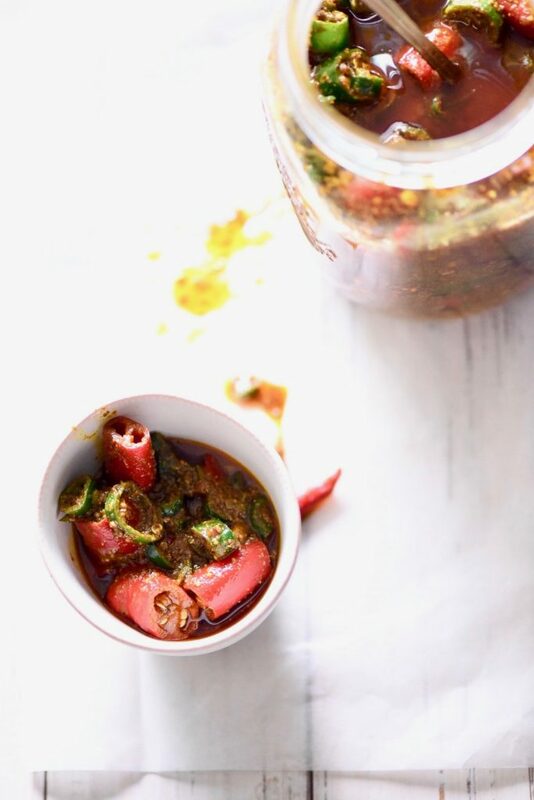 Roast the coriander seeds and red chillies together for just 2 minutes. Add all the other seeds and roast for another minute. Make a coarse powder. Mix all these powders with dry mango, turmeric, red chilli powder and asafoetida. Heat the mustard oil to the smoking point. Cool it slightly and the add in the spice mix. Mix it well. Add in the half of the lime or lemon juice. Let it cool completely. Add rest of the salt and half of the lime or lemon juice to the sun dried chillies . Add in the oil-spice mixture and mix it well. Add in the jaggery and adjust salt if needed. Mix it well and store it in a clean, sterilised glass bottle. If you want you can cover the bottle with plastic and keep it in a direct sun for 1 or 2 days. Store it in a refrigerator upto 6-8 months.